!! 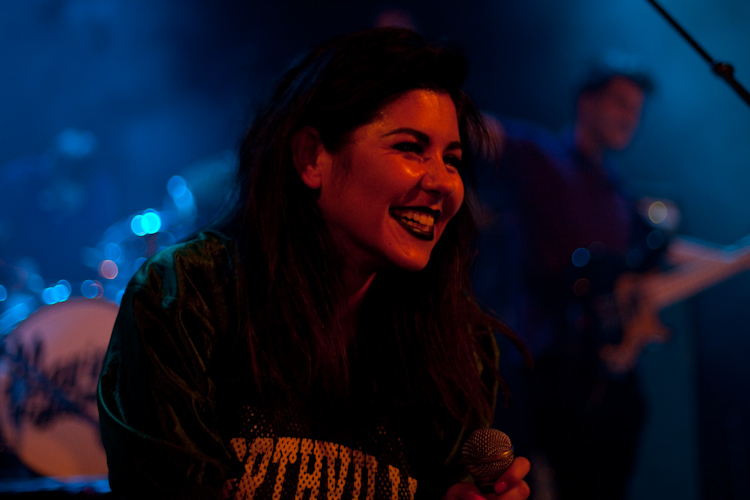 OMG, photos: Marina and the Diamonds live !! Marina and the Diamonds only have one album out but that’s clearly enough to amass a significant number of super fans in Toronto. During the budding British pop singer’s inaugural gig here Wednesday night, much of the audience rendered her backing vocal tracks useless as they sang along to hits like “Shampain”, “I Am Not A Robot” and “Hollywood”. 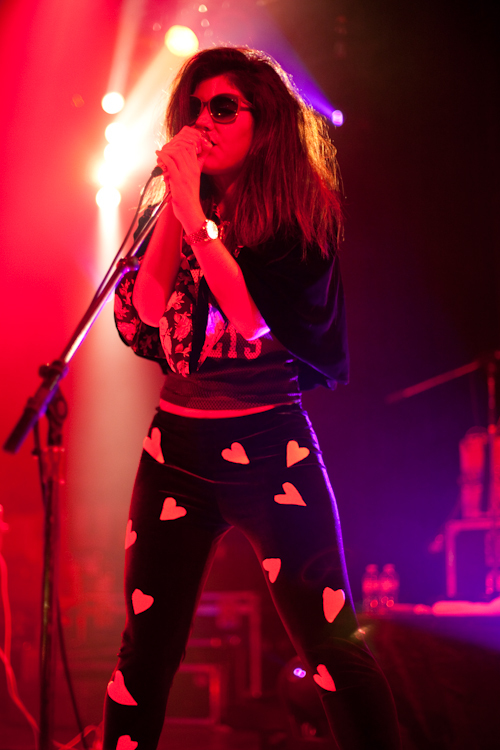 The 24-year-old is touring North America this month in support of her debut LP The Family Jewels. Self-styled as an ‘outsider’ indie pop act with big-time ambitions, Diamandis’ songs play like mini-manifestos against girl group conformity, American consumer culture and hyper-materialism. She can certainly belt out a tune with impressive force, though at times her attempts at cheeky satire felt a little too obvious (stuffed burgers and dollar sign glasses?). Not that the audience minded. Once again, our media pass whore James Lourenco was in front of the front row to capture all the prancing and preening. If you’re on the west coast, Marina is heading your way this weekend. Photos and tour dates after the jump. 1 Comment on "OMG, photos: Marina and the Diamonds live"
in DC she wore this black velvet Morticia-Addams-esque dress, it was totally fab, then she complained about how hot it was she was going to “tear her face off”… took a little hiatus, came out in a hot little black mini number. she was phenomenal.